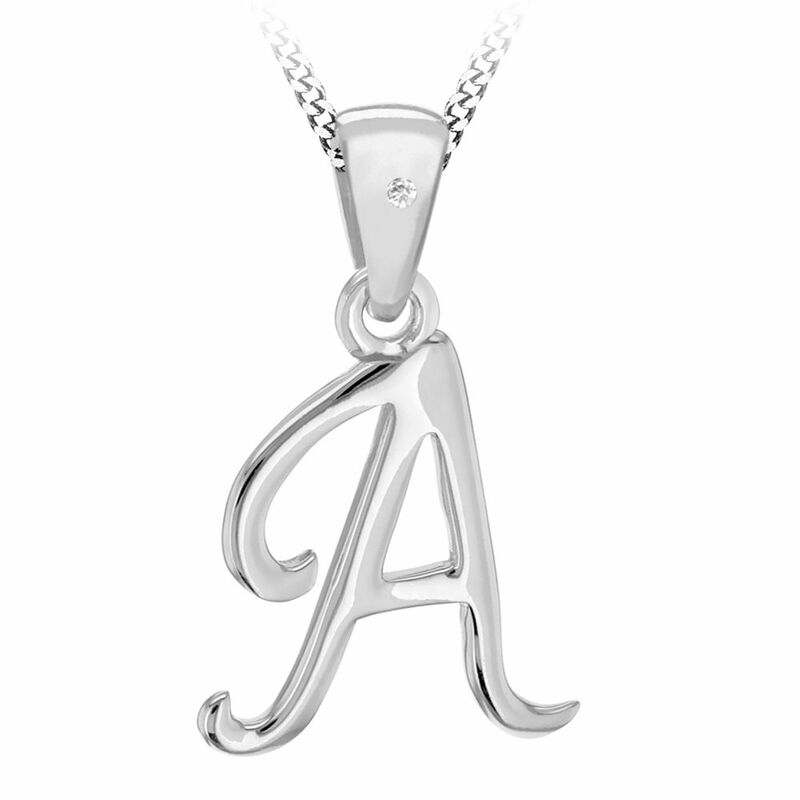 Sterling silver diamond initial pendant. This script initial pendant would make a perfect gift. The sterling silver pendant is set with sparkling diamond and measures approximately 20mm in height and 15mm in width, measurements vary slightly depending on the initial. Chain length 18 inches. A lovely treasured jewellery gift for someone special. Comes complete with a beautiful presentation box. Please allow 3 working days for free UK delivery.